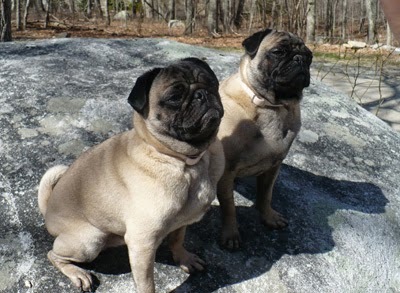 Puggies! 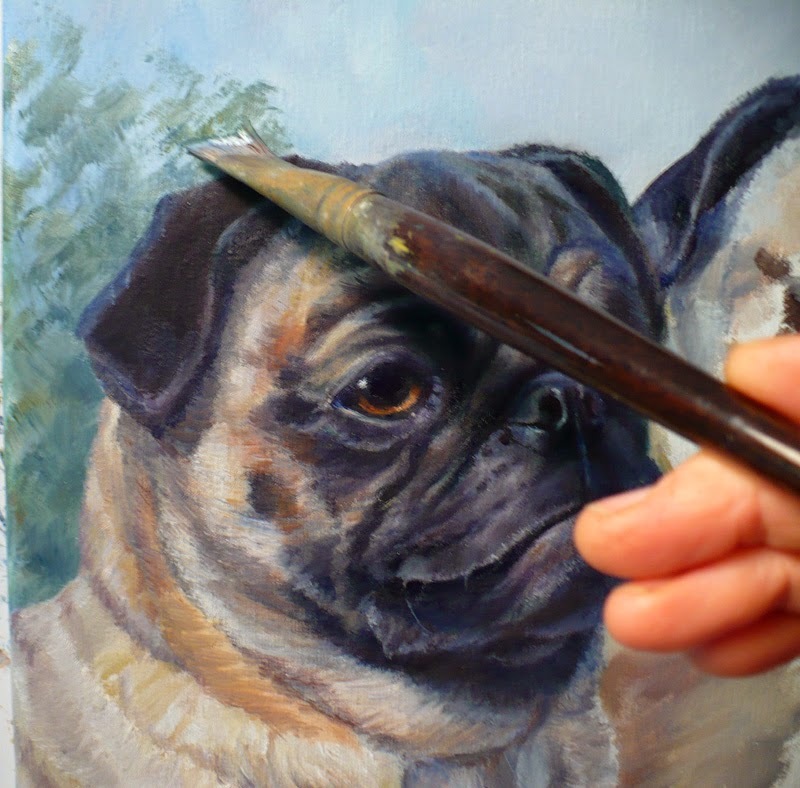 I have a local order to paint two pugs in oil. 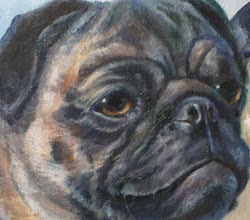 This is the first opportunity I have had to paint this breed. Horton and Grommet were full of energy and life when I went to their house to take photos. Visitors always make them lively it seems. Once outside, they ran round and round the yard jumping and chasing each other. I had a nice chat with their owner while we waited for them to settle down. 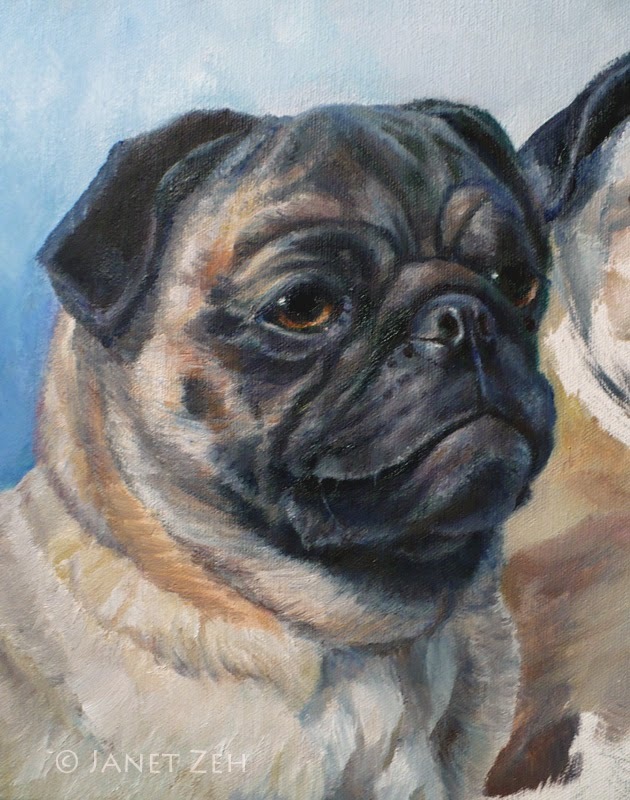 The two pugs have darker faces than most pugs. They look so much alike that I wondered how she can tell them apart! The secret is in the wrinkles. Horton has forehead wrinkles that give him a worried look and he is playful and silly. That I could see. Grommet (above) is Horton's older brother. He is the serious one. Ha! That I didn't see. Once tired, they sat down on a huge rock and I took photos. I combined two of the photos to make a composition for their portrait. 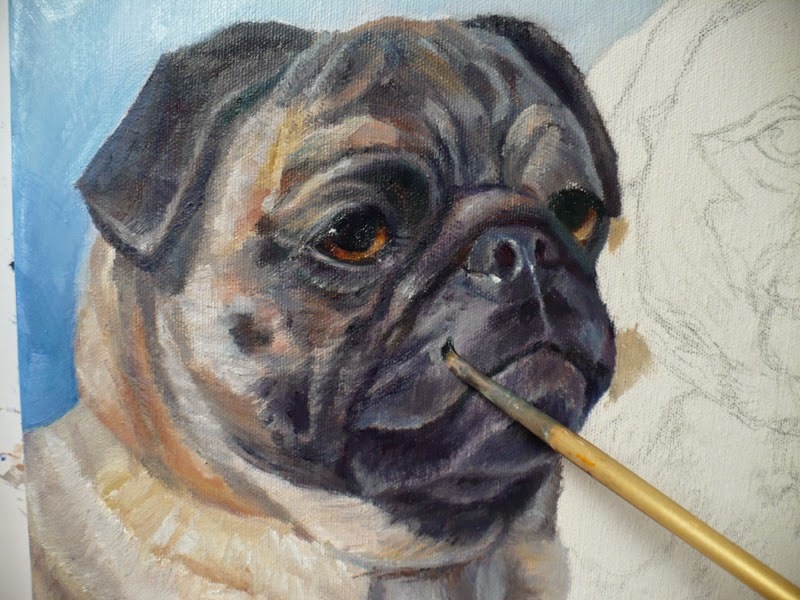 In this post, I'll show you how I paint Grommet. 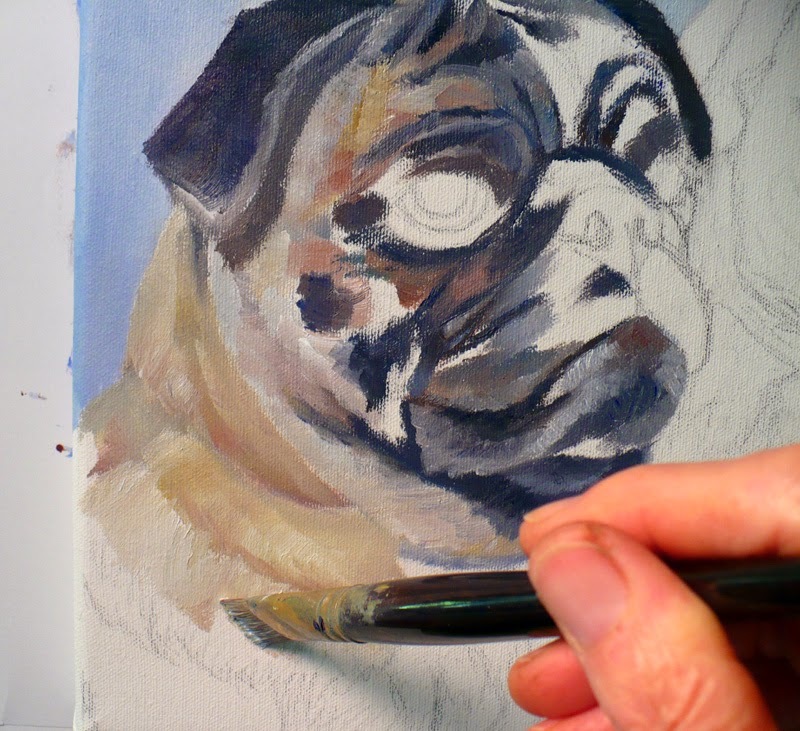 You can read more to see the demo, or click here for the finished pug portrait. 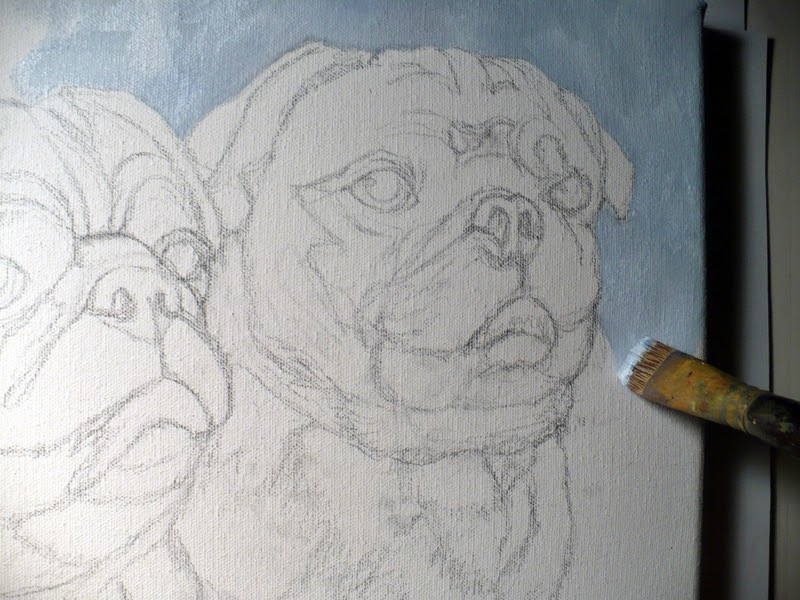 First, I draw the two dogs on 11x14 inch canvas (Grommet is on the left), then I rough in a background in pale blue. 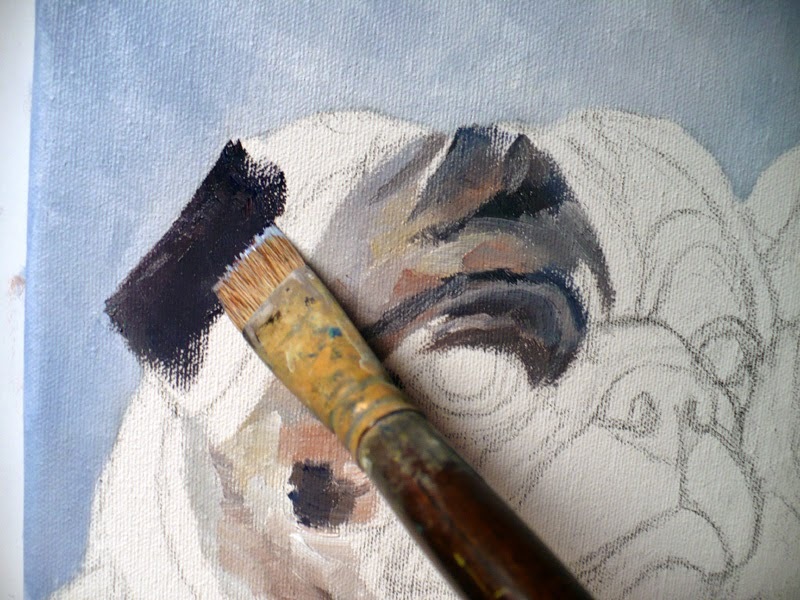 I'm thinking I'll add some foliage behind the dogs later on depending upon how things go. Once I'm satisfied with Grommet, I test out some foliage with quick strokes in the background. Oh yes, this looks just right. The dogs obviously love their outdoor time, so an outdoor setting will be perfect for them! Thanks for stopping by to see the demo. 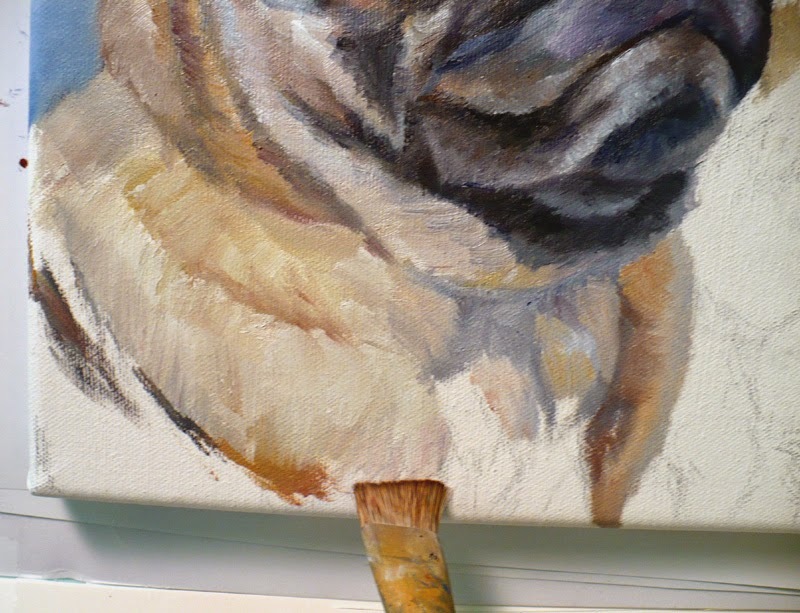 Next time, I'll paint Horton with his funny wrinkled forehead.